This morning on my bus I saw a beautiful thing…. A woman from Ghana and her 2 year old son got on the bus and sat down next to a group of soldiers. The little boy was coughing and obviously a bit sick and the woman was doing the best she could to comfort him. One of the soldiers asked her where she was from (in English, figuring she probably didn’t speak much Hebrew). She told him Ghana and he began speaking to her and her son… asking questions like, how old are you, how long have you been here etc. You could tell he was really good with kids, and kept talking with the little boy, trying to get him to smile. After a couple minutes he pulled out of his backpack a bag of chips and gave it to the boy. It was obvious by the boy’s reaction that he was beyond thrilled! He even offered a chip back to the soldier (which was the cutest thing). But, My Israel. The Israel I know and love. The Israel where you see real people doing loving things each and every day. The Israel where you see Soldiers giving refugee kids chips on the bus…. The Israel where you see Israeli Doctors giving new hearts to neighboring Arab children, who cannot receive help from their own countries…. The Israel that sends a medical rescue team to every natural disaster in the world…. The Israel that continues to send tons of food, water, and supplies into the very same region that sends missiles into their country daily…. 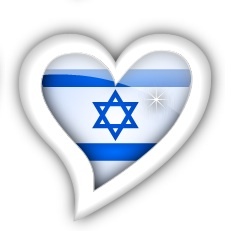 You might never hear about My Israel in the news, but that doesn’t mean that it doesn’t exist…. because I see it each and every day!